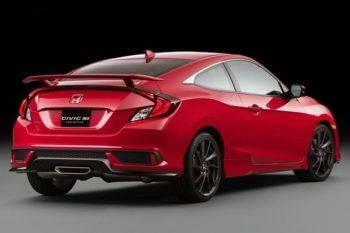 Are You Ready for the 2017 Honda Civic Si? Fans of the 2017 Honda Civic are sure to love the 2017 Honda Civic Si, set to arrive in West Michigan later this year! Curious drivers can learn more about the Civic Si’s capabilities by reading on, as Honda has finally released a wealth of information related to this newly updated fan favorite. Although the Civic Si shares many of its features with other Civic models on the market today, it also contains a significant number of upgrades that give it a unique, sporty feel. Alex Nishimoto, writing for Motortrend.com, declares that they “expect good things from this uncorked version” of the 2017 Honda Civic, and we’re just as excited as they are! Read on to find out what you can expect from the Civic Si when it arrives in your neighborhood. Although each of the available 2017 Honda Civic builds has something special to offer West Michigan drivers, those who want to strike a balance between sporty energy and down-to-earth functionality will find something truly special in the new Si. This model comes standard with a 6-speed manual transmission and a 1.5L turbocharged I-4 engine. Drivers have seen this turbocharged engine in other Honda cars and Civic models, but here, its capabilities are greater than ever before. Si drivers will be able to pull out all the stops with 205 hp and 192 lb-ft of torque, and they’ll enjoy superior handling thanks to the inclusion of a limited slip differential and an adaptive damper system. A button-activated Sport Mode setting provides increased control and power when you really want to see what the Si can do. Exterior features like a front splitter, a rear wing, and 18-inch two-toned alloy wheels further enhance the Si’s high-performance capabilities while simultaneously giving the Si a unique look. Its standard center-outlet sport exhaust system may not do much to improve the Si’s functioning, but its powerful sound makes this vehicle incredibly fun to drive. Its interior is no less exciting! In addition to luxurious comforts like heated front bucket seats and a leather-trimmed steering wheel, the Civic Si offers remarkable sound quality and convenience with its 450-watt 10-speaker audio system and its 7-inch Display Audio touchscreen. Get Ready for the Civic Si! The 2017 Honda Civic Si, which will be available in both sedan and coupe builds, has everything that West Michigan drivers are looking for! Drivers who like what they’ve seen so far are encouraged to check out our finance options and current offers. While you wait for the Si to hit dealerships, visit your local West Michigan Honda Dealer today to explore currently available Honda models! 0 comment(s) so far on Are You Ready for the 2017 Honda Civic Si?